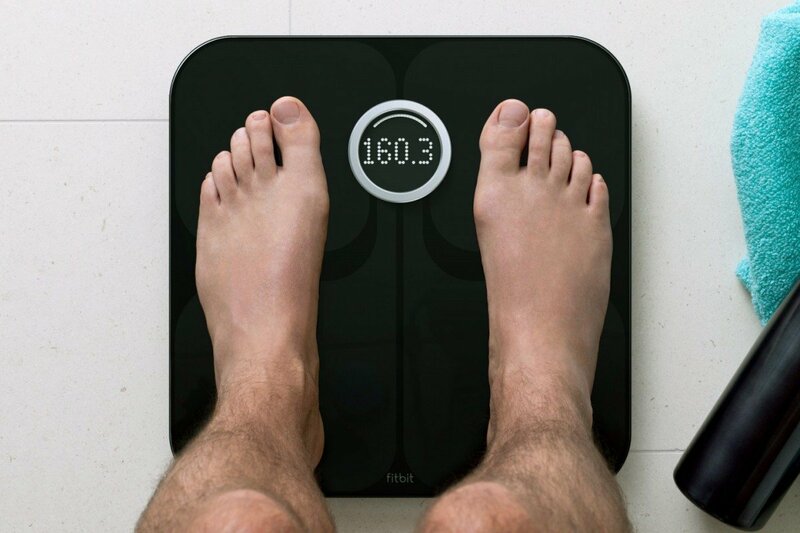 Fitbit Aria – A scale with WiFi? Oh hell yes. Hopefully last week you caught my comparison between the Fitbit One and Nike FuelBand as devices to help measure your activity. In addition we’re hoping you joined our Fitbit group, where you can also win a prize (we just hit 200 members!). As we continue our Fitness Month here at Mobile Nations, we’ll continue to explore how technology can help improve our health. Today, we’re talking about a scale. Yes, a thing to measure your weight and this is by far the oddest “review” I’ve had to do. The Aria scale (made by Fitbit) ties in nicely with their One fitness activity tracker. Think of it as the other half of the equation. The scale is not cheap: it goes for $130 on Amazon, which last we checked is hella expensive for something that may depress you every day you use it. But my fellow tech geeks, this scale has Wi-Fi. So is it worth it? Read on to get my answer. In all honesty, the Aria scale feels like it was built by Apple or Nokia. 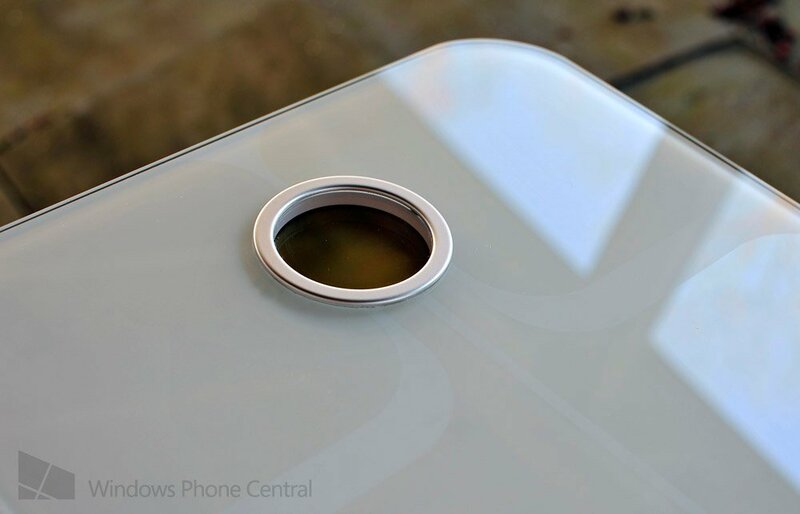 It has a clear Gorilla Glass-like layer that is cool and smooth (perhaps too cool for early mornings in the winter,ahem) and looks like art. The bottom of the scale is a rugged, thick plastic where the 4 AA batteries (included) are stored. The scale itself weighs nearly 5lbs, making it one of the heavier scales you’ll come across. That’s okay though because if we had to give the Aria a rating for build quality it would be an easy ‘A’. It’s just really top notch. It syncs to the cloud! Surprisingly setting up the Aria is easy. 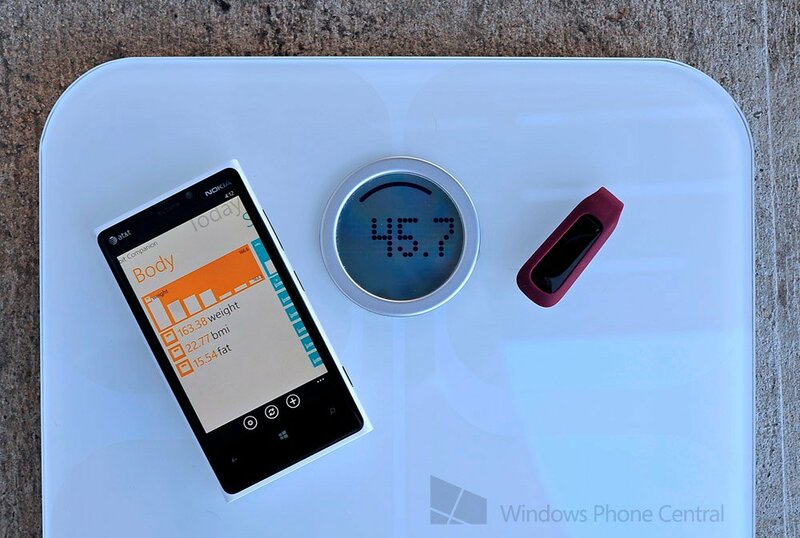 You simply download an app to your PC or Mac that is on the same Wi-Fi network as the scale. You then turn on the scale and you use the app to sync to and program the Aria. Once it’s configured, you don’t need your PC on anymore to use it. This process took about three minutes and was super simple to walk through. Wi-Fi here is important because it means every time you step on it, the Aria will sync with your Fitbit account, including your weight and Body Fat (BF) composition, where it will then calculate your body-mass index (BMI). It’s a brilliant way to keep track of your weight without having to manually enter it into the site. You just step on it, it weighs you and then in about 20-30 seconds it syncs to your account with the new info. Needless to say, it's odd at first but really geeky cool. Up to eight users can take advantage of the scale and you simply assign their weight to a name/account on Fitbit. Every time you step on the scale, it “guesses” who you are based on the weight and BF readings. If on the odd chance it doesn’t get your name right, you can tap to cycle through the available names until your account is recorded. The Aria measures your Body Fat (BF) via Bioelectrical Impedance Analysis (BIA). Think of it as a mild current that measures your resistance ergo your body density and from there, your estimated body-fat (based on age, gender, height and weight) is calculated. The idea here is that weight itself is not always a good indicator of fitness. For instance, muscle leaner than fat meaning a weightlifter could weigh more than someone who is overweight and out of shape. Likewise, if you start lifting weights and running often, you could actually lose fat but gain muscle, which will maintain your weight or even increase it. But if you’re just going by weight in pounds/kilograms, you could be misled. That’s why just “losing weight” should not be a goal and why measuring BF is such a good idea. Having said that, calculating BF via BIA is significantly debated as to its accuracy. The preferred method is to use calipers or a water displacement test—unfortunately those either get technical (with room for error) or are not practical, hence the rise of BF-scales. My personal opinion is that while BF scales may not be 100% accurate they are better than nothing. Sure, variables like how hydrated you, how much food you ate, whether your feet are wet and time of day can all throw BF results. But the idea here is over a long enough time of using it, you will have a ballpark figure of what your BF range is and how much it is increasing or decreasing. For instance, since I’ve been doing heavier cardio my BF has gone from 17.8% down to as low as 15.3% in 30 days. My caliper test and simple “mirror test” reflect that as accurate fat loss (meanwhile my weight has maintained due to muscle growth). The trick here is to use the scale consistently—record the same time, everyday under the same conditions. Sure the actual percent may not be accurate but you should be more concerned with the longer term percent change and direction - that is what matters. Once that info is synced to your Fitbit account, you can then access it online and get running graphs of your progress. You can also see your BMI (body mass index) which is another tool to measure fat composition. Once again, it too suffers from body-type bias and doesn’t accurately reflect muscle, but as previously mentioned you should be concerned here with trends, not one-time accuracy. The info can then be used to set “goals” within the Fitbit system. Basically you see what you weigh and you enter in what you want to weigh. The program then figures out how many calories you can eat based on your activity level recorded using the Fitbit One. If you go for a run and lift some weights, your portioned calorie intake goes up. If you’re inactive, it stays the same. 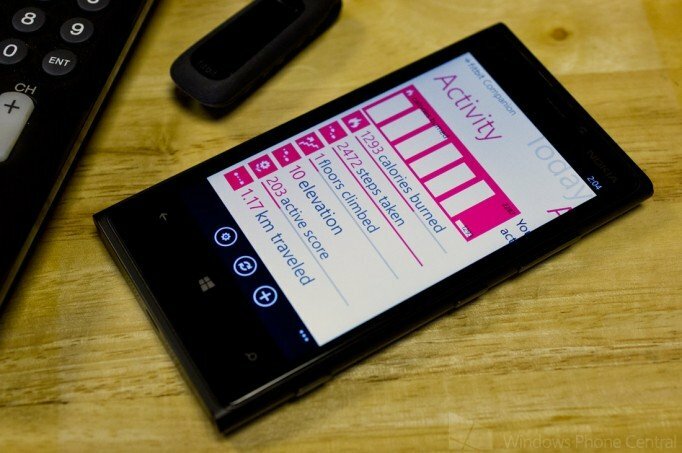 Toss in the Fitbit Companion app (unofficial) for Windows Phone and it’s a neat system, for sure. I’ve had BF scales in the past (from Tanita) and the Aria is just as accurate. That means, in my opinion, you’re not paying extra for that feature and you can save between $80-100 to get the same thing from another company. That’s not something to brush off lightly. No, the value here is in laziness and quality. Laziness since this app does the job of recording your weight to your account and quality in terms of “it’s a hell of a nice scale”. We’re not sure how a scale should look but this one is not embarrassing to have on your floor. Does the laziness thing make it worth $130? For myself, yes. I love the convenience of having it auto-synced and my data recorded. It means in two months I won’t have to “guess” if my weight is really lower or higher (“Wait, what was it again…?”) as I can just use the Fitbit site to compare. It also means I can get a running comparison to see if my “diet” changes are working. Not everyone will see value in that and that’s totally fine. But for a motivator and a “smart” system, the Fitbit Aria (and One) combo is quite powerful. Whether or not you want to allocate $130 for something like that is another question. But do think of this as a lifestyle change and lifestyle commitment - something that will last years. The scale works and works well. Setting it up was a breeze and Fitbit delivered on their promise—no more, no less. As to the value we’ll leave up to you to decide but in terms of excellence, this one passes.